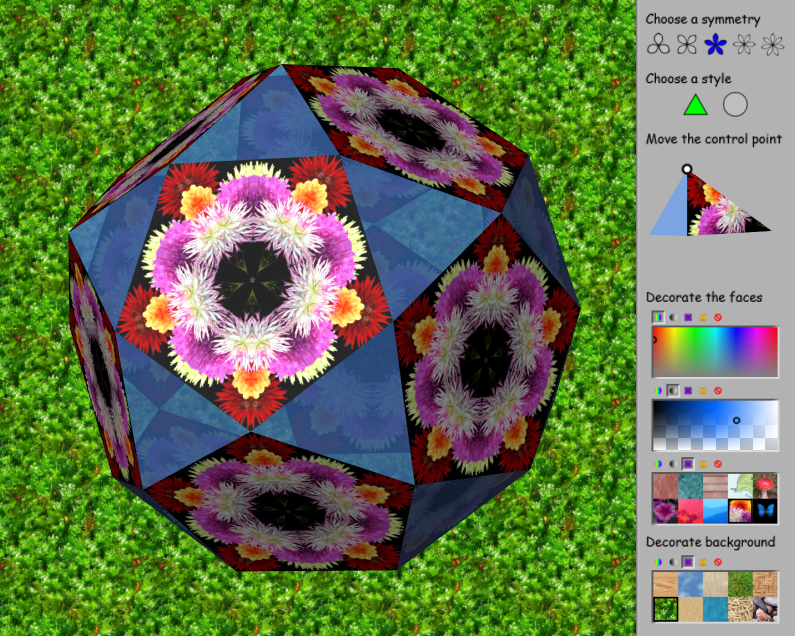 KaleidoTile is a colorful program for investigating Tilings, Symmetry, and Polyhedra. I remember seeing it many years ago. I’m glad to see that Jeff Weeks is continuing to update it. FREE download. 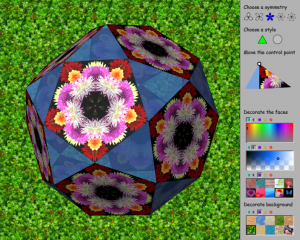 It is a rhombic triacontahedron. Each of the 30 rhombic faces are golden, in that the ratio of the diagonals is the Golden Ratio. 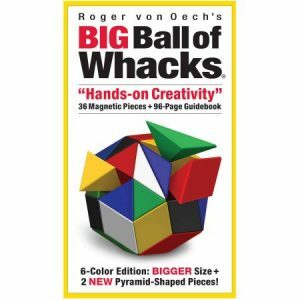 It is the dual of the Icosidodecahedron (which is Archimedean), which is the Hoberman Sphere. I have a light in my office (which was a gift from my kids) which is the rhombic triacontahedron. (this is the MAA!) can be built using three golden rectangles.